Top Attorneys 2007: Visit sddt.com/topattorney to learn more about Top Attorneys. Top Attorneys 2006 is the culmination of a peer voting process that began in March with the announcement of a call for nominations. 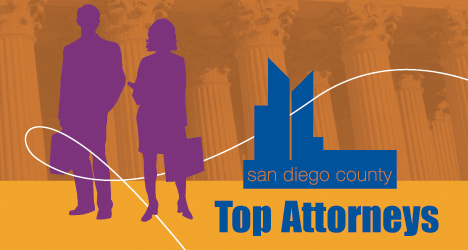 San Diego County lawyers were asked to nominate who among their peers -- with whom they had professional experience -- were worthy of recognition. Attorneys could not nominate themselves.